For those who haven't read my profile, which pretty much is everybody, it says that I have a degree in writing. And that means I read a lot of sportswriting and watch a lot of sports TV—most of it lazy and cliche-ridden. I mean really bad. So today I decided to list some of the worst things people write and say out of laziness, slow thinking or complete indifference. OK, so I am guilty of having said this (usually to my wife). Because of all the non-sayings, this is the king. I mean, when a guy in a locker room shrugs and say "Yeah, our record is 4-11. It is what it is," it basically means, "Yeah, it's bad. I don't care. You can't make me care. Shut up." As opposed to a non-contact hitter? "I prefer to hit without using contact. 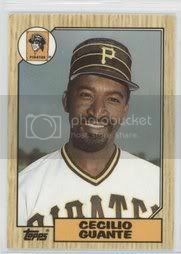 I'm a non-violent hitter." HE HAS A GREAT FEEL FOR THE GAME. This is a sportscaster's way of saying, "He's white. Not that athletic. We have no idea how he's keeping up with all the black athletes." Interchangeable with "He's a scrappy player." As in, "That Wayne Chrebet (or Steve Nash, Rocco Baldelli, Eric Weddle, etc). He's got such a great feel for the game." Cause, you know. White people aren't athletic. Silly. I should have a seperate section just for John Madden-isms. This one is an all-time Maddenism. He uses it pretty much every week for every game. A classic. I first heard this from the Girl-man and the Meatball (Mike and Mike in the Morning). Since then, every guy who's talked sports in the past six months—from the ubiquitous hyeanas laughing on the Sunday pregame shows to your cube neighbor at work—has had to say something along the lines of "Tiki shouldn't have thrown Eli under the bus." as some sort of initiation rite into the sports club. As if to say, "See? I know something sports guys say (even if I don't understand it)." No, he's not. He's an athlete. He's paid a jillion dollars to play a game. Unless his dessiccated brain is rotting on the ground next to his corpse, he should go out and play. And unless his name is Pat Tillman, he didn't sign up to defend his country, live in a foreign land, sleep outside and eat rations while getting shot at, all for a couple thousand a month. Which means he's not a warrior. This is bascially a word package problem. And these words are always combined with push rush and defense. As in, "the Jets pass rush is anemic." Or "the Jaguars' have a tenacious defense." It's never the running game is anemic or the Giants have a tenacious offense. Well, they don't. But, sportswriters, I'm calling out to you. Mix up the word packages a little. Try different uses. Such as: "His fastball is anemic." Or: "That beer is tenacious." Try this: "Chad's arm is anemic." Or: "That thong is tenacious." THEY"VE GOT MOMENTUM or THEY ARE ON A ROLL. This comment is popular when sportswriters have no idea how a team is winning its sports games. Especially in football. I mean, truly, what the hell does this really mean? Just because someone did something yesterday, or last week, doesn't mean anything today. Point in fact, yesterday, every newspaper writer, every tele-sportjournalist chowderhead who was trying to predict the Washington-Seattle game, said of Washington, "Oh, they're playing for Sean Taylor. They've got momentum." Completely ignoring the fact that Seattle was a playoff-tested team, playing at home, against a 36-year-old backup quarterback. Simply put, they were a much better team, ready to annihilate Washington. Which they did. Momentum counted for jack once Patrick Kearney put his helmet into Todd Collins' ribs. Now that's momentum. WE'RE TAKING IT ONE GAME AT A TIME. Really, I thought you were playing three games at the same time. To save energy. You know, the environment. Conservation. The planet. I don't even know what a lunchpail is. And I don't think anyone has used a pail since, like, the 30s. Man, I hate this. 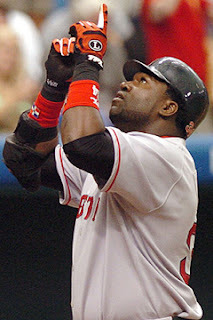 This is when, say, Big Papi, hits a fat pitch for a home run, then before he heads towards first, he points his finger towards God in a thank-you gesture. Scuse, me. Mister Papi. Hate to tell you this. God doesn't give a crap. God has Rwanda, AIDS, the ozone layer, the rapid rise of oil prices, the rapid rise on cable bills, typhoons, terrorism, the strip mall-ization of America, Britney, Lindsay, Paris, that crying indian on those TV commercials, mad cow disease and reality TV shows to worry about. He doesn't give a crap that you hit a ball 435 feet. And one other thing. It's not about you thanking God. It's about you thanking God in front of 45 thousand people to show how religous you are. When you are shoving a five down a stripper's g-string, do you point two fingers to heaven? When you're buying that big, gold chain that will look so cool as you throw a two-seam fastball, do you give the Big Guy a "You The Man!" finger? Stop it. OK, this was funny once. A made-up word by the out-of-work stand-up comedians at ESPN, it was, again, funny, the first time. Now, it's the "Where's The Beef" comment for every lummox watching sports TV. HE HAS THE HEART OF A CHAMPION. Cue Bette Midler: "Did you ever know that you're my hero..."
I imagine some coach of a college team, screaming at his guys to pass the ball, trying to get the message across. Then he thinks of this soon-to-be-cliche. "There's no I in TEAM!" he screams. And every coach, commentator, sportswriter heard. And this coach immediately regrets it. Wishes he could take it back. Wishes no one would ever, ever say this trite thing again. Apparently, there are no such things as veteran phenoms. Or sophomore phenoms. So if you're not a phenom when you're a freshman, forget it. One of the all-time non-sayings. It's like saying, "He needs to put on his uniform and walk out on to the field. Then he needs to pick up his bat. He needs to breathe in, and THEN out." THAT EMMITT SMITH. HE'S A GREAT RUNNER. HE SEES THE HOLE, THEN RUNS THROUGH IT. Just a brilliant observation by big John. Madden has indeed said this. On more than one occasion. About numerous running backs. Brilliant. Just brilliant. And there are so many more. Please guys, write in with your most hated cliches. Cause you're a warrior and it is what it is. 1. Laxadaisical - As in "our effort was terrble today, really laxadaisical." It sounds like an buzz word for Pepto. The word is "lackadaisical." I have heard this mistake dozens of times from dozens of coaches since high school. 2. I could care less - As in "I could care less about the record, as long as we win." It implies that you do in fact care a least a little bit. Since your typical athlete does not utilize dramatic irony in the locker room interview...they mean "I couldn't care less," but they rarely say it. Not for nuthin, P-Cat, but you produce a great blog. Just wanted to say great collection of ridiculous comments. And I hate to admit it, but I probably use the laxidasical one myself. What so damn intensive about those purposes anyway? It's "intents and purposes" you tool! Great work on this post, P-Cat. I laughed out loud at work while people thought I was really busy working. "He's a gamer." So stupid. great stuff. a few more sports cliches that have always bothered me. "He's a gamer." Another "tries hard for a white guy" type phrase. Shouldn't they all be gamers? Don't they play a game for a living? Such as always confused me. When they say a guy "brings his lunch pail" that is also code for: white. As is "coach on the field" and "gym rat"
"Natural athlete" usually means a black player. I want to point out that there is a "me" in team. Whoever invented the anemic phrase "there's no I in team" was inexcusably laxadaisical. Didnt Herm Edwards use all these in one press conference?? Seriously though the dopiest (and insulting) and insulting description I heard was when some scribe referred to Rich Kotite as a real "Dese, Dem and Dose" guy. On second thought, judging from his record with the Jets, Im sure thats what the playbooks read like. Thanks, I almost choked to death on my food because of you. One of the all-time funniest things I have ever read.